The Anderson Creek Health Clinic provides services to the whole community. It is open on Wednesdays from 10-3. Nurse-practitioners and physicians maintain a weekly practice here. A public health nurse comes every Wednesday to facilitate women’s health and youth mental health at the clinic and at Family Place. Call the Hope Medical Clinic at (604)869-5648 to make an appointment. Offering assistance to EVERYONE, a Community Health Representative, (Drug & Alcohol Addictions Navigator) and Legal Aid services are also available. For Mental Health Appointments, please call 604-860-7733. 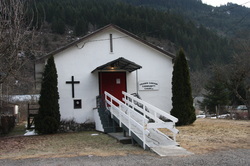 The Police station is located on Old Boston Bar Rd, and can be reached by calling (604) 867-9333. The detachment is distinguishable by the stunning rose garden located out front. Our community is currently being served by Constables Phil, Evelyne, and Darren. Boston Bar is very fortunate to have skilled paramedics at Station 204 who are ready to respond to any emergency whether it's a resident's medical crisis, a motor vehicle incident on the Trans Canada Highway or a collaborative effort with Search & Rescue. Another service from B.C. Emergency Health Services (BCEHS)is the Community Paramedic, trained specifically to monitor the health and medical care of seniors. 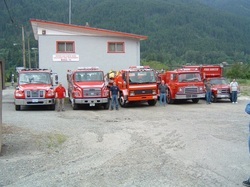 The Boston Bar/North Bend Volunteer Fire Department consists of a group of very dedicated volunteers and two fire halls, one on each side of the Fraser River. 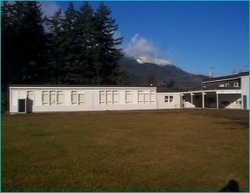 There is also a state of the art structure training facility on the North Bend side. Members meet Wednesday evenings to learn and maintain skills under the leadership of Fire Chief Crystal Pruim and qualified trainer Stu Pruim. Further training is conducted both inside and outside the community. Members respond to a variety of emergency situations: structural fires, wildfires, traffic accidents and more. If you are interested in joining the fire department, drop in on Wednesday night's training session at 6 pm at the Boston Bar Fire Hall. Or contact Crys Pruim by sending an email to bbfire@lookieloo.net. 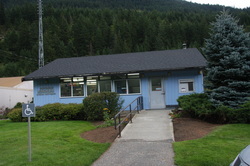 The Boston Bar branch of the Fraser Valley Regional Library is located in the Boston Bar School at 47643 Old Boston Bar Road. Staff are friendly and welcome any chance to assist you with questions or items you are searching for. The library is open on Tuesdays & Thursdays from 1:00-5:00 pm (closed for break) and 5:30-7:00 pm. Call (604) 867-8847 for more information. The FVRL features one of British Columbia's finest selections of current and popular materials for all ages, featuring approximately 1.3 million items — from books and business directories, to magazines and maps. Any item can be delivered to the Boston Bar Library, free for the asking! The library also provides access to web-based materials such as journals, magazines, major Canadian news sources, encyclopedias, literary information, car repair manuals, and much more! A large list of MP3 Audiobook & eBook downloads are available. Have a research question? Email a FVRL librarian through our website at www.fvrl.bc.ca, and a reply within 48 hours can suggest locations or sources that might help answer your question. A library card from one of FVRL’s 25 branch libraries also gives access to free online peer tutors for homework help in Math, Science, and Social Studies. Check out all the great activities the library has to offer each month for the whole family in the Boston Bar-North Bend Update Newsletter! Canyon Lanes is our local bowling alley and community recreation center. Facilities include four lanes of 5-pin bowling with the latest in high-tech scoring equipment, pool tables, air hockey, children's play area, a cozy sitting area with big screen TV, and a large meeting room. Free WiFi too! Canyon Lanes serves as Boston Bar's bottled water store. It's also a great place to book meetings, workshop or your own private party! From fall until spring, the leagues are underway, which includes after school Youth Bowling Club (YBC) leagues. Public bowling is not available during adult leagues times: 7-9 pm Tuesday nights, 9 am -12 pm on Wednesday and while YBC bowls after school on Tuesday, Wednesday and Thursday from 3:30 until 5:00. Check out the Canyon Lanes page in the monthly Update Newsletter and their Facebook page at www.facebook.com/canyonbowl to keep up with special events. 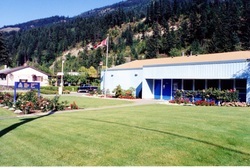 Canyon Lanes is located at 47585 Trans-Canada Hwy. Contact Sherri Forman, Manager or send email to canyonlanes@lookieloo.net. Phone: 604-867-8800, (fax: 604-867-9112). Sunday Services and Children's Sunday School at 11 am with potluck lunch following. Wednesday Bible Study at 7 pm. Friday Movie Night with refreshments 7 pm. The Church has a community bread ministry, and through the Meadow Rose Society, we have baby items available. 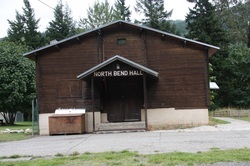 The North Bend Hall is located on Highline Rd. Contact Howard & Diane Johnson at 604-867-9613 to inquire about rentals. 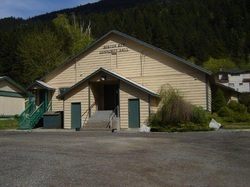 The Boston Bar Community Hall can accommodate gatherings of 200 people, and is the center of many community events. Contact Sherri Forman, manager of Canyon Lanes at 604-867-8800 for more info. CPNP (Canadian Prenatal Nutritional Program) Better Beginnings: every Monday (Tuesdays in summer) for pregnant moms and babies to 12 months - free prenatal vitamins, weekly food vouchers & lunch are all provided free of charge. A neo-natal specialist visits once per month. 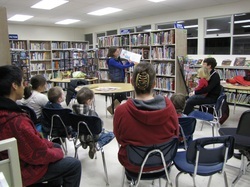 CAP-C (Community Action Program for Children): Drop-in programs include, crafts & story time, snacks and lunch, cooking programs, parenting, home safety, guest speakers, field trips and yoga classes. Community Lunch - Wednesdays at noon, all are welcome (a minimum $2.00 donation is required to keep this community luncheon program going). A Community Outreach Worker (youth mental health) is at Family Place every Wednesday from 11 am - 2 pm. The Almer Carlson outdoor pool is located at 48846 Highline Road in North Bend. The pool is open all summer and offers public swimming, lessons, youth programs, and fitness programs. Call 604-867-9796 during the summer months for programs and other information. Opening day will be June 23rd, 2018. There will be free barbecued hot dogs and hamburgers, games for the kids and a Bear Aware presentation!! Almer Carlson Pool will be open daily throughout the summer from 11 am to 6:30 pm. until September 3rd, 2018. The Boston Bar School is part of Fraser Cascade School District 78. This elementary and secondary school is home to about 50 students and 10 staff members, and is a vital part of our community. The Better at Home Program is a B.C. government - funded program administered by the United Way of the Lower Mainland to help seniors with day-to-day, non-medical tasks in order that they may continue to live independently in their own homes. Within the basket of services provided is transportation, light housekeeping and minor home maintenance. Depending on the level of income, some seniors may qualify for 50-100% subsidy. The Fraser Canyon BaHP is in partnership with Care Transit in Hope, B.C. and offers weekly shuttle bus transportation on Thursdays, from Boston Bar to Hope and to Chilliwack on alternate weeks. Check the schedule on the Better at Home page in our Boston Bar North Bend Update Newsletter. Riders need to call the Fraser Canyon B@H Coordinator, Dawn Fox at 604-869-1831 by Wednesday to book a seat. The bus is not just meant for our seniors. Anyone can ride! The fares are very affordable at $20 return to Hope and $30 return to Chilliwack. The Boston Bar/North Bend Enhancement Society sponsors a Community Lunch from noon til 1 pm every Wednesday at ﻿Family Place (see above)﻿ to help support community members, especially seniors. (The weekly menus usually appear on the Family Place page of the Update Newsletter and/or in the Update's Community Calendar.) While enjoying a nutritious and delicious meal, folks also appreciate the friendly social atmosphere. Attendees are very welcome to stay after the lunch until 2 pm to visit with friends and/or play card games. Everyone is welcome at the weekly luncheons. The Boston Bar Food Bank is located at Canyon Lanes. Hampers are provided monthly; please check the current edition of our Update newsletter for the date and time of Food Bank Day. Applications are available at Canyon Lanes, Family Place and at the Post Office. Donations are gratefully accepted, and can be dropped off at Canyon Lanes. Charitable tax receipts are available for monetary donations. Our Food Bank volunteers (photo) are integral to our operations. If you'd like to help too, please contact food bank organizer Morris at 604-867-9358.